Norman Borlaug, Nobel Peace Prize recipient and distinguished professor of international agriculture at Texas A&M University, will be the 2000 Agricultural Achievement Lecturer for the Sam Houston State University Department of Agricultural Sciences. Borlaug's lecture will be titled "Food Needs for the World Population for the Year 2025." It will be presented at 6 p.m. Nov. 28 in the Lowman Student Center Ballroom on the SHSU campus. The public is invited to attend at no charge. Borlaug, who has been honored by scores of governments, universities, scientific associations, farmer groups, and civic associations, holds approximately 45 honorary doctorates and belongs to the academies of science of 12 nations. He has served on two U.S. presidential commissions--on world hunger and on science and technology. Although a scientist with outstanding contributions, perhaps Borlaug's greatest achievement has been his unending struggle to integrate the various streams of agricultural research into viable technologies and to bring agricultural research advances to fruition in farmers' fields. It was in the research stations and farmers' fields of Mexico that Borlaug developed successive generations of wheat varieties with broad and stable disease resistance, broad adaptation to growing conditions across many degrees of latitude, and with exceedingly high yield potential. These wheats and improved crop management practices transformed agricultural production in Mexico during the 1940s and 1950s and later in Asia and Latin America, sparking what today is known as the "Green Revolution." "The high-yielding wheat varieties that Norman Borlaug and his many scientific colleagues developed are today grown on more than 65 million hectares (161 million acres) throughout the world and may well be responsible for saving tens of millions of people from starvation," said Bobby Lane, who chairs the SHSU agriculture department. "The impact of his work on world agriculture has been nothing short of spectacular. Over the past 35 years, wheat production in India has increased from 12 to 76 million metric tons; in Pakistan from 4.5 to 21 million metric tons; and in the world from 300 to 650 million metric tons." Borlaug's directorships of the Population Crisis Committee and Population Communications International reflect his long-term concern with the world population explosion and the pressure it places on global natural resources, in the quest to feed a world that is now growing by nearly 100 million people per year. 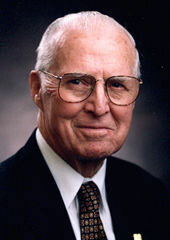 Born in Iowa, Borlaug is now 86 and continues his work from his Texas base at College Station. He was awarded the Nobel Peace Prize in 1970.